NOTE: “The Viewing List” is a new weekly column that recaps the films that have been viewed outside of the movie theater over the course of the prior seven days: films that are being absorbed for the first time, movies that are being revisited or reassessed, whatever might come the way of home theater. Additionally, because much was missed over the course of four years (when this site’s review publishing pattern was sparse at best), the necessity to backtrack is relevant. This does not suggest that movies featured in this section are being punished from full-length review treatment, however. What it is meant to do is serve as a personal and public record of what is being seen, and hopefully inspire readers to suggest additional material for viewing as well. The more we learn about cinema, the more we realize how little we actually know. No decision is ever rash or impulsive on my part in the way I live my life, but it was, admittedly, a spontaneous gesture on my part to resume my writing post at Cinemaphile.org this past week. 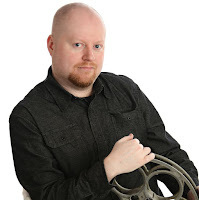 My last full-length review has been written last July, and though I had seen a handful of films since that were inspiring enough to warrant written acknowledgment, I neither had the energy nor the desire to spend the time and write another. Last week, I just decided that such reasons can no longer be an excuse for leaving behind something I genuinely am passionate about. I had to find a way to make it fun again. And the first step was actually sitting down to watch movies again, a habit that I had, admittedly, grown out of in recent times. Chock it up to just meaningless distractions provoking said position, but distractions nonetheless. Sometimes all it takes is a good movie – or a bad one, even – and a little nudge from a loved one to get a mind like this back on track. This time I have no intention to have it detour again. You gotta love a director who spends his whole budget on blowing Earth up in extravagant ways. Or maybe you don’t have to. 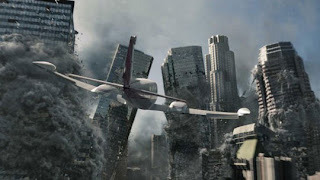 Roland Emmerich, essentially the self-appointed titan of modern day disaster blockbusters, tops himself in such a way that it at least warrants observation – “2012” is the biggest, loudest, and most ambitious movie he has ever done, filled with action sequences that are seamless in their execution and alarming in their accuracy. You’d think the filmmakers would be more willing to attach a decent script to it, though. For every explosion there is also a cliché, and for every rash character decision there is a predictably pretentious speech about losing our humanity if we ignore the pleadings of innocent civilians being left behind. A suggestion for Emmerich’s next disaster film: blow up the galaxy and let aliens do the talking. Second viewing. Recommendation: watch it with the volume all the way down. Joanne Woodward won an Academy Award for her portrayal in this movie, which chronicles the treatment of medicine’s first diagnosed case of multiple personality disorder. In it, poor Eve White (Woodward) struggles to retain her sanity as she suffers from headaches and terrible memory gaps. Unbeknownst to her, those memory gaps are because she is sharing a body with two other identities that are the polar opposite of her own. The actress is stirring and convincing in the lead role, and Lee J. Cobb does excellent work as a psychiatrist in pursuit of answers in a case where nothing is concrete. First viewing. Highly Recommended. Woody Harrelson stars in the newest take of the long exhausted zombie franchise, a film that abandons terror in favor of wit and satire. The match is amusing, if a bit underwhelming. As the world becomes paralyzed with, well, brain-devouring undead, two guys and gals who remain uninfected cross paths and decide to head out to California to see if anyone else has survived the infection. The plot is basically just a platform for jokes and sight gags, of course, and the movie does come up with a few hilarious moments – not the least of which is a sequence in a grocery store where the Harrelson character plays the banjo tune from “Deliverance” in order to lure out blood-hungry zombies. Ultimately, most of the gags are very instantaneous, and like most comedies of 2009, you find yourself comfortable with the idea of never seeing it again once it is all over. One other thing must be said, though – what does anyone see in Bill Murray, anyway? First viewing. Rent it or wait for a good deal on the DVD. A movie that fascinates me on multiple levels, what filmmakers have done is essentially taken a famous science fiction franchise, known for its kitsch, and turned it in on itself. What we get instead of the expected camp factor is a film that is visionary in its concept, and thrilling in execution. The obvious difficulty of placing unknown actors in roles made famous by others is but a minor hurdle on part of these filmmakers, who draw good performances out of them on almost every interval. And what of that villain? Not since Khan has a screenwriter come up with such a fully realized, foreboding antagonist as Nero in this gigantic space opera. First viewing. Own immediately. Loving this column, David! 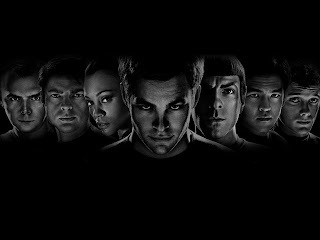 Haven't seen 2012 yet -- haven't seen 3 Faces of Eve unfortunately -- saw Zombieland recently, not too bad -- love Star Trek. I'll take Shaun of the Dead over Zombieland any day, but I did love the way Bill Murray gets killed....lol.